During Lent we will have a period of silent adoration at St Teilo’s an hour before the 10am Mass on weekdays. 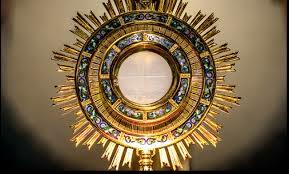 Adoration begins at 9.00am and concludes at 9.55am. When he is available Canon will hear confessions during the period of adoration.